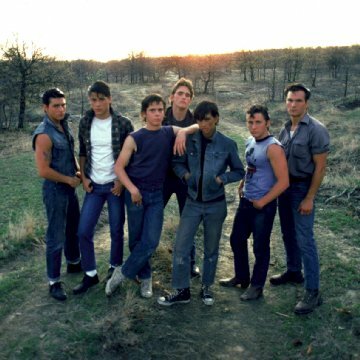 The movie details a town split between the wealthy South Zone gang called 'The Socials' and the poor North Zone gang called 'The Greasers'. Dallas Winston, Ponyboy Curtis and Johnny Cade from 'The Greasers' befriend the rich Cherry Valance and Marcia at a drive-in. Later that night, a group of 'The Socs' chase and beat up Johnny and attempt to drown Ponyboy in a fountain. However, Johnny stabs one Soc and kills him, saving Ponyboy. The desperate boys seek Dallas who finds a hideout for them in a nearby town. 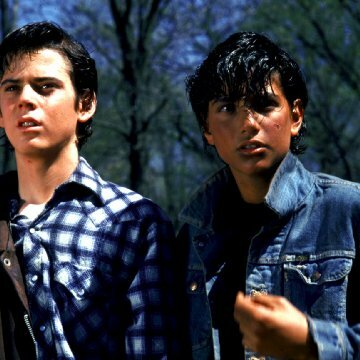 One week later, Johnny and Ponyboy decide to return to their hometown, with Dallas, to claim the murder as self-defense. But on their way back, they see the church on fire and Ponyboy and Johnny help the children trapped in the church and become heroes. However Johnny is badly wounded and confined to the hospital. Meanwhile The Socs and The Greasers prepare to fight. Taglines: S.E. Hinton's classic novel about youth. Over a half hour of the film was cut before release, due to movie executives fearing it to be too long and a chance of upsetting fans of the book, making the movie a mere 91 minutes. In 2005, a "director's cut" DVD of this film was released that restores much of this footage. Continuity: At, the very end, when Dally robs the bank, he pulls out his gun at the store clerk and he points it on the clerk's right cheek (at 01:23:27 in 91 m.). The next shot of the clerk, shows the gun on the left side of the clerk's cheek (at 01:23:34). 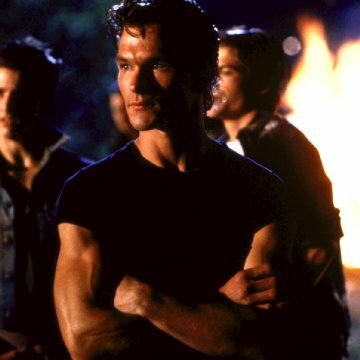 Ponyboy: [voicecover] When I stepped out into the bright sunlight, from the darkness of the movie house, I had only two things on my mind: Paul Newman, and a ride home. Don't worry about the critics, it's a classic now!!! This lovely film was universally trashed and smashed by all the critics. FF Coppola directed it, but they still smashed it. I don't get that. 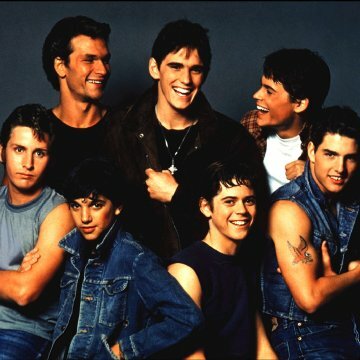 The then unknown cast was: Patrick Swayze, Matt Dillon, C. Thomas Howell, Rob Lowe, Ralph Macchio, Tom Cruise, Emilio Estevez, Diane Lane, and Leif Garrett. All these actors went on to fame, but the whole movie, the performances, the writing, were trashed. I thought the cinematography was exceptionally lovely. The "Nothing Gold Can Stay" sunrise scene was gorgeous. The camera angles during the hair cutting scenes were creative and intimate. The music was "epic" sounding, yeah, but this film had a huge tie in with Gone With The Wind, remember. I thought the soft lighting and the creamy edging made the film look very much like IT was filmed in 1939!!! I don't know. I thought the chracters were very engaging and the performances excellent. Lots of people loved this film, regular people like myself, that is.